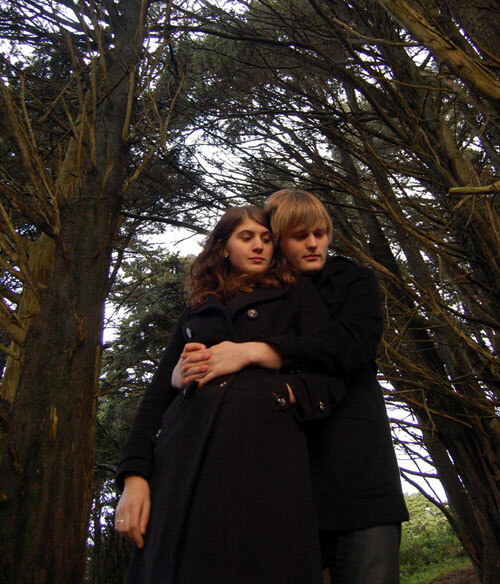 Little Pictures are an electronic pop duo from Wellington. The boyfriend/girlfriend duo of Mark Turner and Johanna Freeman write warm, happy, bedroom pop music. They have recently released their debut album 'Owl + Owl' through Lil Chief Records (The Brunettes, The Ruby Suns etc) to rave reviews from the blog world, with Bigstereo proclaiming it "Perfect DIY pop, all the tracks are real gems", and Panda Toes calling it "The cutest, most fun-loving music of 2008". 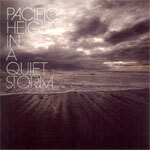 They have just got back from an Australian tour, and are currently touring their album throughout New Zealand. Lately we've been playing some really amazing shows where lots of people have been singing along with our songs and dancing along, it's been awesome! But there's been two really standout shows. The first was at Camp A Low Hum this year. One of the sets we played there was on this stage in the middle of a little grassy glen. People were all dancing and singing along, it was really the first amazing experience we've had playing a show. The whole festival is amazing! Another best performance was in Melbourne during the Australian tour we did earlier in the year. It was at this bar called Pony. Pony have this system where they get bands in to play at staggered times throughout the night, and we played the 2am slot. So we show up and it's this scummy sort of bar, kind of like Valve in Wellington only two stories and way bigger. Turns out we were meant to organise our own sound guy, so we get a friend to do it at the last minute, a friend who's of questionable sobriety. We start setting up, and they're playing Rage Against The Machine over the PA and a bunch of people at the bar are singing along. There's a guy skateboarding in the far corner of the bar. This is a pretty strange enviroment for us, I mean we play happy pop music! We start worrying that people are gonna start throwing bottles at us and stuff. We start up our set, and the room we're playing in starts getting really full. And people start dancing and singing along, and getting really into it. And then it starts getting even more full. There must have been about 200 people crammed into this room, it was nuts! After we'd finished playing everyone was chanting for an encore, but we didn't have any more songs. So we had to somehow get off the stage. But the crowd was so massively packed in that we had to really push our way through them all to get off the stage and over to our friend at the mixing desk. It was really crazy, we thought it was going to be a really awful concert, but it turned out to be a real highlight of the tour! Without a doubt The Wunderbar, just out of Christchurch. If you haven't been there it's a must! They have all this strange sci fi artwork all over the roof, I've never seen anything like it. We've actually never played there before, but we'd really love to. What can we expect to see from Little Pictures over the next year? We're in the middle of booking a US and European tour. We'll be heading off on that earlyish next year, it's shaping up to be fantastic! Before that we'll be releasing the second video from our album, for a song called 'I Wish I Could Keep You'. Our friend Dan from Eep Productions is helping us again, he made the last one for us too which we were so happy with. We'll also be releasing a 7" single in the UK through a record label there, we'll be included in both a French compilation and a US compilation. 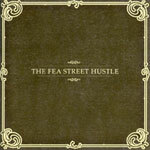 We're also hoping to release our album in Australia and in the US, plans for that are in motion already which is great. So it should be really busy! Bachelorette! She's our favourite NZ band. Her album 'Isolation Loops' is so so amazing! We've never seen her live though. We almost did! We went to one show in Wellington where she was playing support for HDU, but the cover charge was too much for us so we had to sit outside and listen to what we could. It sounded good though! She's doing a tour soon supporting Beach House which looks really really cool. 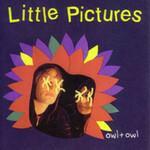 If you could, what rumour would you start about Little Pictures? I don't think there's a whole lot I can say here without sounding lame.. oh wait no I can talk about gear! Have really cool equipment. It's been such a huge help for us being able to record and mix our own album. Own space echos and moog synthesisers and sweet laptops. First you get the equipment, then you get the power, and then you get the women. Well.. maybe not the women. But you do have sweet equipment. See the new Little Pictures video here! Little Pictures are Mark Turner and Johanna Freeman. This space could be yours!! Want some extra publicity but don't want to pay for it? Muzic.net.nz has the solution for you - newsletter features! By having you or your band feature in our fortnightly newsletter, you will receive great exposure - and it will cost you NOTHING! Our newsletter is a completely optional members only service, and because members have to specifically request it, they are more likely to read what you have to say. Over 6200 members currently receive our newsletter and this number is growing every day! Our newsletter has been going since 2004 and in that time we have featured nearly 200 musicians and bands including the Bleeders, Blindspott, The Mint Chicks and Streetwise Scarlet. We can also feature NZ music websites, venues and record companies. And, if you have been in our newsletter before, we can feature you again! Newsletter features can include pictures, tour posters, press releases, answers to our interview questions, your own words, website links and much much more! If you're interested in knowing more contact Lisa today! Check out this page to see what else muzic.net.nz can do for you. 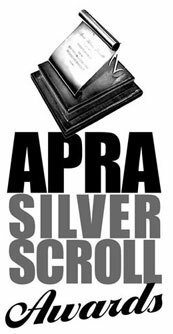 Full Article including the finalists for the APRA Maioha Award and the SOUNZ Contemporary Award. Flight of the Conchords’ TV show has received three Emmy nominations - for directing, writing, and original music and lyrics; they narrowly missed out on a nomination for best comedy series, having made the shortlist of 10 shows considered for nomination. The 60th Primetime Emmy Awards for television will take place on September 21. And last month the Conchords had a special guest open for them – Bic Runga supported them at one of their sold out LA shows; she was returning the favour as the Conchords had previously opened for her on her New Zealand tour a couple of years back. The Ruby Suns have finished their European tour and are starting a 15-date US tour with Tilly and the Wall. In between times they’ve also squeezed in playing at the Sub Pop Records 20th Anniversary Festival and the (apparently muddy) Pitchfork Festival, hosted by influential music website Pitchfork.com – good work you shining Suns. Highlights according to Amee have included playing with Esau Mwamwaya, Beach House, Fleet Foxes and the Dodos. The Tilly tour will feature the Ruby Suns as a two-piece with Amee and Ryan, as Imogen has headed back to NZ to focus on her art career. 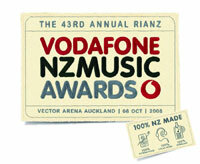 The countdown to the 2008 Vodafone New Zealand Music Awards has begun with the first round of finalists announced for the 2008 Technical Awards. The backroom wizards who make New Zealand music great are set to be honoured on September 3. Among the nominations are a who’s who’s of NZ music. There will be three Technical Awards presented - Best Album Cover, Best Engineer and Best Producer. The finalists in the Best Album Cover category are: Barny Bewick for 'Keep Me On Your Side' (Goodnight Nurse); Liam Finn for 'I'll Be Lightning' (Liam Finn); and Tim Gummer for 'Inland' (Michael Houstoun). In the Best Engineer category, the finalists are: Andre Upston for 'In Swings The Tide' by Anika Moa; Lee Prebble for 'Happy Ending' by The Phoenix Foundation; and Tiki Taane & Evan Short for 'Past, Present, Future' by Tiki Taane. The finalists for Best Producer are: Anika Moa for 'In Swings The Tide' (Anika Moa); Lee Prebble for 'Happy Ending' (The Phoenix Foundation); and Tiki Taane for 'Past, Present, Future' (Tiki Taane). 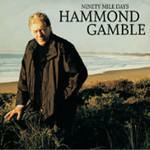 Legendary bluesman and songwriter Hammond Gamble has delivered the best album of his career. Ninety Mile Days is a collection of all-new originals covering the electrifying gamut of Gamble’s styles, from McCartney-esque pop songs in ‘Memory No.1’ through gentle soulful ballads ‘I Had A Dream’ to full-blooded blues rock songs ‘It’s Been Too Long’ ringing with Gamble’s lead guitar. Today Tiki and his beautiful acoustic track ‘Always On My Mind’ became the first ever New Zealand single to achieve platinum sales via a digital only release. The # 1 single from Tiki’s platinum debut album ‘Past, Present, Future’ has been all over the radio, hitting the # 1 airplay spot in the country and racking up over 258,000 hits on Youtube to date. ‘Always On My Mind’ and ‘Past, Present, Future’ are available on tikidub.com, itunes, Amplifier, Digirama, Vodafone and Telecom, with the album also available as a physical release at all music retailers. Applications for SXSW 09 are now open! Following the overwhelming success of the first inaugural reggae festival Raggamuffin, fans will be delighted to hear it’s happening all over again with Raggamuffin 2009 announced August 10. Ziggy Marley, Eddy Grant, Stephen Marley, Shaggy, Arrested Development and Inner Circle will join Kiwi bands Kora, Unity Pacific and Three Houses Down. Congratulations to J. Lopes from Auckland who won the last of our Hit Your Head giveaways. This giveaway included the 'Flip Your Lid' Compilation and the Secluded By Right EP. Congratulations also goes out to J. Bowler from Glenfield and K. Scott from Palmerston North for winning our Earbuddies competition. The correct answer to the question 'What are the smaller sized EarBuddies Etymotic ER20s called?' is 'BabyBlues'. - Nort - 'The Age Of Violence' album review. We have space available in our 31st August newsletter and during September (14th and 28th), so if you are a NZ musician or in a band and would like to promote your music this winter by featuring in this newsletter, please email Lisa. 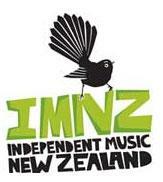 We can also feature NZ music websites, venues and record companies.